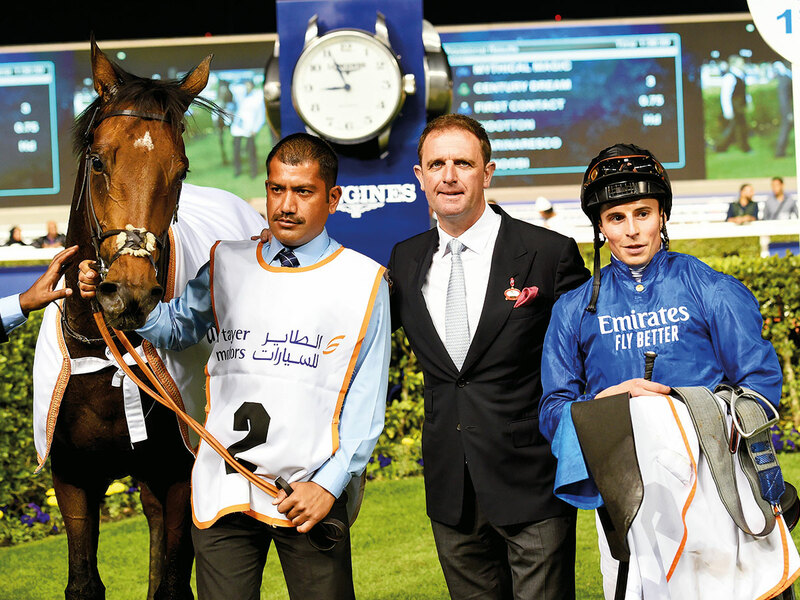 Dubai: Team Godolphin’s Charlie Appleby and William Buick are upbeat that their combination can once again dominate the field in the world’s richest race meeting at Meydan on Saturday. 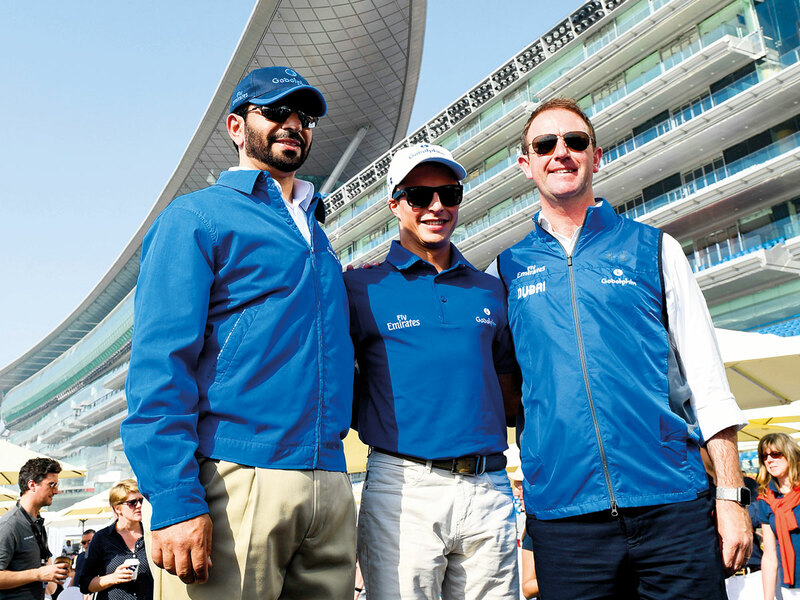 Led by Melbourne Cup winner Cross Counter, trainer Appleby has six runners lined up — of which jockey Buick will have five rides on Dubai World Cup night. While Cross Counter is expected to slay the field in the 3,200m Dubai Gold Cup on turf, the likes of Old Persian in the Longines Dubai Sheema Classic on turf, Divine Image in the $2.5 million UAE Derby and Blue Point in the Al Quoz Sprint are also expected to deliver. To his credit, Buick had a hugely successful 2018 as he realised his lifelong dream of winning the G1 Derby at Epsom in emphatic style aboard Appleby-trained Masar. 2018 was an amazing year. It was a surreal year. We were very lucky to have a couple of winners here on World Cup night in Jungle Cat and Hawk Bill. A mere 17 days later, the 30-year-old jockey who holds both British and Danish citizenship, followed it up with a thrilling win aboard Blue Point in the G1 King’s Stand Stakes at Royal Ascot, providing Godolphin with their first success in the race. “His Highness Shaikh Mohammad Bin Rashid Al Maktoum, Vice-President and Prime Minister of the UAE and Ruler of Dubai, is just so keen to have all of us go out there and do our best,” Appleby told media at Meydan on a wet Thursday morning. “2018 was an amazing year. It was a surreal year. We were very lucky to have a couple of winners here on World Cup night in Jungle Cat and Hawk Bill. 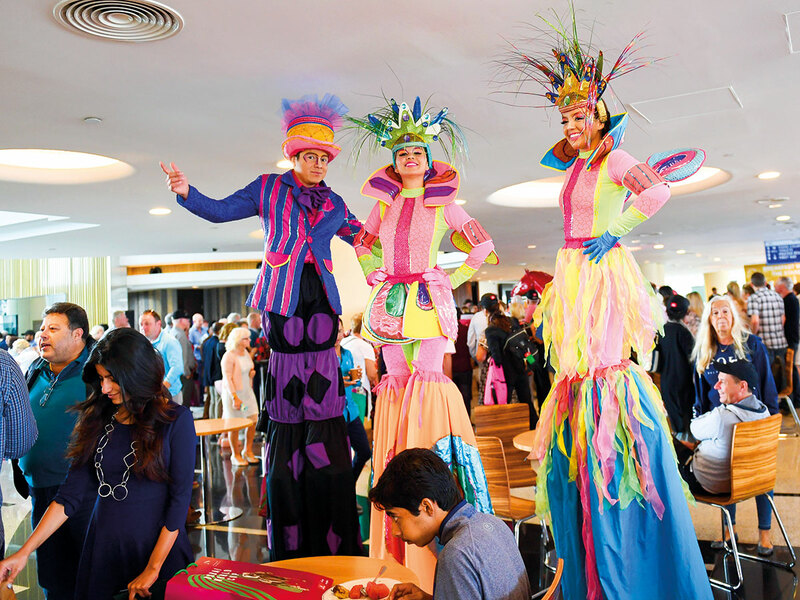 I thought the momentum just carried on throughout the year,” he reflected. “To win the two races that really matter in one year was like a dream, especially when these two — the Epsom Derby and the Melbourne Cup — were only part of our ambition some five years back. Now to win both these in one year was a great achievement. That is history now and the goal is to try and do that again,” Appleby insisted. “Going into World Cup night, I am just happy and confident that all our horses are in great order and we are going to be very competitive on the night,” he said. Given his astonishing run Down Under, Cross Counter is Appleby’s favourite to clinch the $1.5 million Group 2 Dubai Gold Cup. “We are very pleased with his preparations. Physically he’s looked great and in the last 10 days he’s really back on his A game for sure. Going into the Gold Cup, he’s the horse that everyone’s got to beat,” the Godolphin trainer said. He was also optimistic about Divine Image’s chances in the $2.5 million UAE Derby. “She has got a nice draw and hopefully, she can get her pitch,” Appleby said. Blue Point could land Godolphin another success on the night in the $2 million Group 1 Al Quoz Sprint. “He comes with a big reputation and he is not one to shy away from anything. Over a period of time, he’s developed into a top-class horse,” Appleby noted. The fourth winner for the trainer could be Old Persian in the $6 million Group 1 Dubai Sheema Classic just before the big race on Saturday, leaving Buick to remain confident of his chances as well. “Divine Image in the Derby and Blue Point in Al Quoz Sprint and Old Persian in the Dubai Sheema Classic all have a great, great chance on the night. However, beating Almond Eye is going to be a tough thing to do in the Dubai Turf,” the jockey added.